Instead of saying “Good job” try saying “Wow, I can see that you worked really hard on that and it took a lot of patience! Your hard work really shows” Another encouraging and thought provoking response would be something like, “That’s really incredible! Can you tell me about it?” By asking an open ended question we give children the opportunity to share and use language they may have not had the opportunity to use yet. These conversations can also create a comfort level that leads to a different topic that would have been otherwise hard to start. We can also become very routine in reminding our children that we love them. 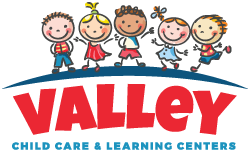 Try mixing it up with phrases like “You are a really important part of our family,” or “you make me so happy.” What better way for our children to start their days then by being reminded that they are valuable and they make us smile? When we teach them the importance of these positive interactions they will be able to carry them on their own lives! 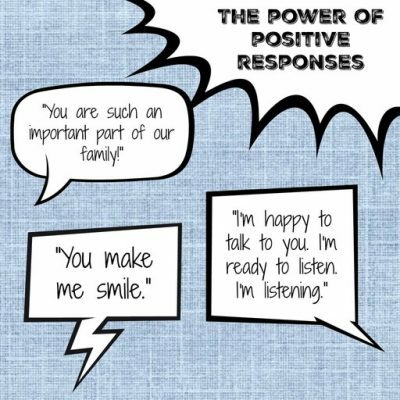 The power of combining positive affirmations with our responses is something that is truly valuable; the words we use have the power to affect the confidence and self-esteem of our children as they grow into adults!